What builds a good gaming Earphone? Serious Gaming needs some very small important components. And every single peripheral is necessary for a serious pro gamer. In this series, we will talk about yet another basic but important part of the gaming console which is Earbuds or Earphones. This may not be an essential need of every gamer but surely gives a better sound experience and a professional feel. Although it is not a big thing, still it is available in tonnes on varieties and is manufactured by different companies with a wide price range. Before buying earbuds, there are few things that you must keep in your mind; those are comfort-ability, sound quality and durability. These are the few priorities which companies focus while making an earphone. Except this, there are some other things also which you need to focus on before making any purchase. 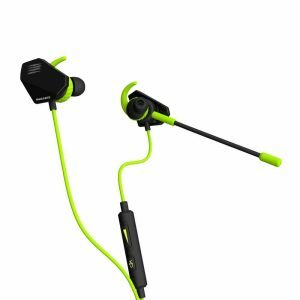 Here in this post, we will give you the list and a description of the best gaming earbuds available in the market at different price tags. Hope our list help you select the right product for your Gaming PC. So let's get started with the top earbuds suitable for gaming. The turtle beach Call of Duty: Black Ops II Elite version is designed to give best gaming performance. The features provided by this earphone are preferable for any gaming battles. This is indeed one of the best available in the market at a huge price tag. All the money is put in make it a long lasting and a very durable product. Let's have a detail look at the stuff which is provided in these earbuds. 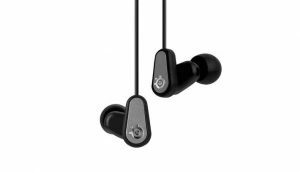 The earphone provides a very high-quality audio due to huge 10mm drivers who have neodymium magnets. The design of the earphones is very attractive. It is also noise isolating and prevents any outer noise while gaming. The cables of these earbuds are cloth braided which makes it very durable as well as make it look more classy. 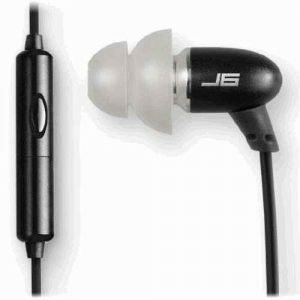 It also consists of an in-line mic which allows you to call or chat while playing at very high voice quality. Overall, the product is worth its price and a great buy. These are a different kind of earbuds which are made up of wood, and we can consider them as multi purpose earbuds which can also be used for gaming. 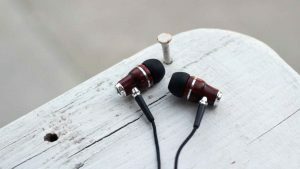 Because this earphone is handcrafted with natural wood, the durability and the quality of the product is very impressive. The earbuds come with six pairs of custom fit silicon tips which can easily fit your ears. It comes with a built-in volume control as an additional feature. If we talk about some other important features, the noise cancellation of these earbuds are pretty impressive. Because it is available with different sized silicon tips, it is very comfortable and can fit everyone. It has a 3.5mm jack and also contains volume control, answer/end call and other buttons too. This earphone focuses on the strong bass and provides crystal clear sound. Overall, this is a great deal for a very affordable price with a great design which is handcrafted with wood and provides powerful and clear sound. These earphones by Actionpie are very inexpensive but the quality provided at this low cost is amazing. The durability and the material quality is not up to that standard because of the low cost of production, but still, it is satisfactory. This may not be good if you are looking for the best but this fulfils your basic requirements at a low cost. But the sound quality of the earphone is outstanding. The design is unique. If we talk about its features, it uses magnetic neodymium iron boron magnets. The noise isolation of the product is also very good. Can be plugged in any device having 3.5mm jack. The soft earbuds are made up of silicone which provides great comfort. As I said, the design looks great. Overall, it's a great deal for a very low amount. It's not the best but still considerable. This is yet another professional gaming In-Ear headset designed for gaming. We can consider it affordable because it's not so cheap, but it's great as a gaming earphone. The earphones come with some great features and possess an attractive design and colour too. 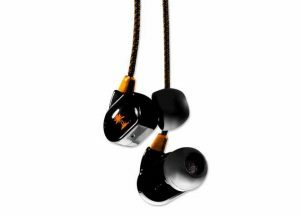 This earphone also focuses on providing a good and strong bass. The build quality of the earphone is very impressive, and it does last long. The material used here looks strong and great. Another great feature of the earphone is its detachable microphone, and it uses 13.5mm neodymium drivers, the cord is n't that long, but still, the length is average. Also, it is tangle free which kills the annoyance. Sound quality is again very impressive, and it is one of the best product available with such clear sound. The single negative about the earphone is that the microphone cannot be attached to the right ear. They do not provide good comfortability comparatively to others. This is little expensive but the best available in the market. It can be used for any games or other purposes too. This is one of the lightest weight earphone available with a strong and clear sound. The earphone is compatible with every single device which has a 3.5mm jack. The design and look of this product are one of the best available. It may not feel very comfortable and pleasing, but still, the features provided are outstanding. The earphone comes with great acoustic noise cancellation. It also has 13.5mm huge speakers with great bass. This is the reason it has one of the best noise isolated systems. The earphone comes with three different earpieces to which can fit everyone and it also consists of inner ear support. It does have volume control as well. Along with this, this earphone has the dual mic on both of the ends which are very impressive and allows you to chat easily while gaming. Overall, this is the best product available at an average price. 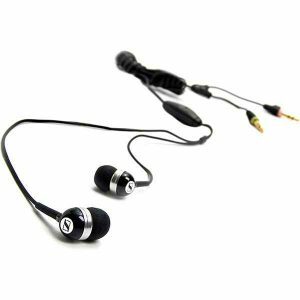 Sennheiser is one of the best sound products manufacturing companies out there for the competition, and this earphone can be used for any purpose including gaming and general use too. The price isn't that low, but still, it is a great buy for the asking price. The black color and the design is very attractive. Additionally, it has an inline control and a great mic along with it. The sound clarity of the mic is very good, and the built quality, as well as the material used, is very strong and durable as well. If we talk about the features, the priority of this earphone is bass and mid-range. The noise isolation system is great, and you can rarely hear any other outer noise. It may not be good for listening music daily cause it is designed for gaming. The microphone is Omni directional. Except this there nothing new but still it is a decent earphone for gaming. Just keep in mind that it is not designed for music lovers, but it's great for gamers. Now, this is a multi purpose and expensive in-ear headphones by SteelSeries. It has some great and unique features. The designs look great, and it is one of the most comfortable products available in the category. The earphone consists of silicone ear tips, and along with this, it is memory foam which provides it a better isolating system and increases the noise cancellation, as well as the comfortability provided, is also increased.The cord length is 1.2m which will be enough for a good space. 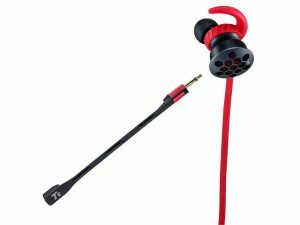 The earphones consist of Omni directional microphones which provide great clarity voice calling and allows you to chat easily while gaming. It consists of a 3.5mm jack connector and supports almost every device with a 3.5mm port. The dynamic drivers provide a great sound quality. The earphones come with three different ear tips of different sizes which can fit everyone accordingly. The cable does not tangle which does not make you annoying. Overall, this is a great but a little expensive product. You can give it a try if you are looking for premium quality sound and durability. This earphone by Gogroove is one of the cheapest earphone available in the market which is suitable for gaming purpose. It is designed and made up of natural wood just like those by Symphonized. These earphones are very comfortable and have great noise cancellation system. It is available in 8 different variations and colors to choose from. The ear tips are made up of silicone which provides you great comfort, and 8 mm drivers provide deep bass and good sound quality. The ear tips or ear gel are also available in three different sizes so that it can fit everyone. It has a 3.5mm jack and is compatible with android, ios, desktop, tablet too. The earphone comes with a three years warranty which assures you great durability and quality. The cord length is about 48-50 inches which easily supports a good distance. It does have an inline microphone control and makes it easy to communicate while gaming. Overall, it's a great unique designed earphone at a cheap rate. The silver color gives a great look to this particular earphone. The design of the earphone is very ergonomic and fits easily to anyone. 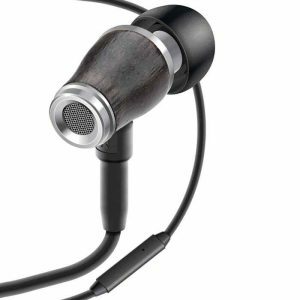 It consists of 13mm Neodymium drivers which are very different and great. The earphone comes with a limited warranty, but you need not worry about the quality and the durability of the product. It is designed to provide great comfort to the user. It does consists of inline volume and other control buttons as well. The sound quality provided is undoubtedly great. It is suitable for gaming, watching videos or listening music as well. The earphone consists of a 3.5mm jack connector and is compatible with almost every device which has a 3.5mm jack. The cord length is more than 1m which is great if you want to use it for gaming. The voice quality of the microphone is also great and provides good clarity if you like to chat while gaming. Overall, this is a great purchase at a very low cost. Being this cheap, still, the quality provided is awesome, and it is highly suggested as a low budget earphone. This is one of the most impressive and premium earphones designed for gaming. Although it's not that cheap still it is a great buy for the asking price. The design is very different from other earbuds, and it fits very well to the ears. We can say that the ergonomics of this earphone are great. The earphone is available in two different colors. The noise isolation system provided in this earphone is very impressive. It may not be the best but has some great features. The accuracy provided by this earphone is great for gaming. This earphone also consists of inline control options. The sensitivity of the microphone is very high, and it provides great voice calling or chatting while working. 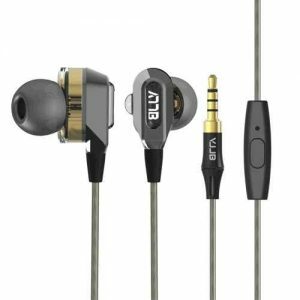 You may rarely find another earphone at this price with such sound quality as well as noise cancellation. It is designed for gaming, so you need not worry about cord length because it's long enough. Supports all devices with 3.5mm jack. You're going to love it if you want it for gaming. 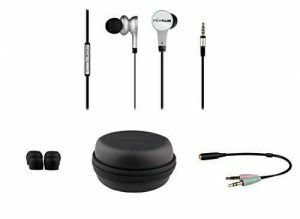 Although, an earphone is not a big thing for your setup when you think of buying a good gaming earphone, there are few points which you must check before making any purchase. These are the few things which make a great earphone. The driver is a component consists magnets and coils which produce sound in any earphone. More powerful drivers provide a powerful frequency. For basic hearing, a 9mm driver can do the job but for good gaming experience, i will suggest you look for an earphone with much better and powerful drivers. This is the most common things people look for every single product because money doesn't grow on tree. If you spend a big amount, you need that product to last long. Especially if we talk about earphones, they need to be handled carefully. You should look for an earphone made of a high quality material which should last longer. This is indeed the most important point which is a must if you want to buy it for hours of gaming. The Ergonomics mean nothing but comfortability. There are many earphones which provide great comfortability because they provide different sizes of ear tips so that the earphone can fit you comfortably and does not cause any pain after hours of continuous use. You want an earphone to be multipurpose. It should be compatible with most of the devices. So that it can be used with phones, tablets, and desktops as well.Make sure the earphone has a 3.5mm jack connector, and it can be plugged into every other device. Except for these major things, there are many other extras which you should focus. Those are in-line controlling, a better isolating or noise cancellation system, a good quality detachable mic, tangle free cord and at the end a great look and design. So these were some major check points for buying a great gaming earphone. Average audio and sound experience can spoil the fun of gaming and a great earphone is must if you want to enjoy the games to their fullest.